Whenever you see vibrant, blonde, balayage-like hairstyles, you might be looking at a technique called foilayage. 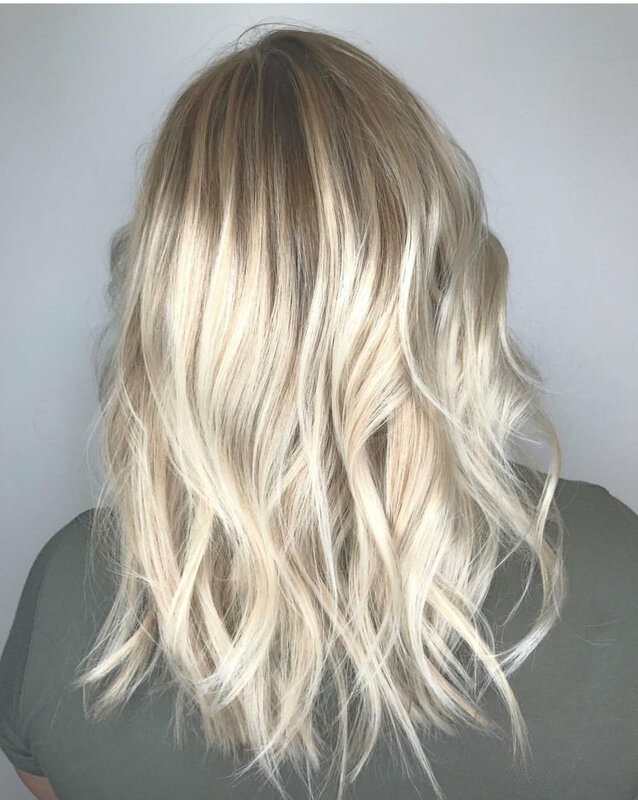 Known as a fairly new highlighting trend that every brunette needs to know about, this popular service is basically a modified version of balayage. If you are a brunette that would like to see if blondes really do have more fun, foilayage is definitely the service for you at Hair Loft Studio. As a fun new style for almost all brunettes, our expert stylists recommend this service to clients who aren't good candidates for balayage because their hair is simply too dark for the service to have a highlighting effect. Most importantly, the service is great for brunettes who would like a drastic hairstyle change. Similar to balayage, foilayage is a technique where the color is hand-painted onto individual sections of the hair. But unlike balayage, this coloring service takes this basic highlighting method a step further by wrapping each hand-painted section in foil to significantly enhance the beautiful, sun-kissed technique. The reason why this technique involves foils is because foils can effectively seal in the heat, which ultimately results in lightened hair. Book Your New Orleans Foilayage Today! Due to its natural look and easy maintenance, this gorgeous hair trend will probably be around for a long time. Our fabulous New Orleans foilayage service is a terrific way to get the locks that you have been secretly admiring. But before you schedule an appointment, you'll need to have a consultation with one of our expert stylists. Ready to get beautiful, golden highlights on your hair? Contact Hair Loft Studio a call today to book an appointment.